The left-handed Premier Madison has an unparalleled richness. Its single-cutaway jumbo body style provides plenty of bass and gives it the room it needs to be both rich and clear, creating a remarkable fullness in tone. 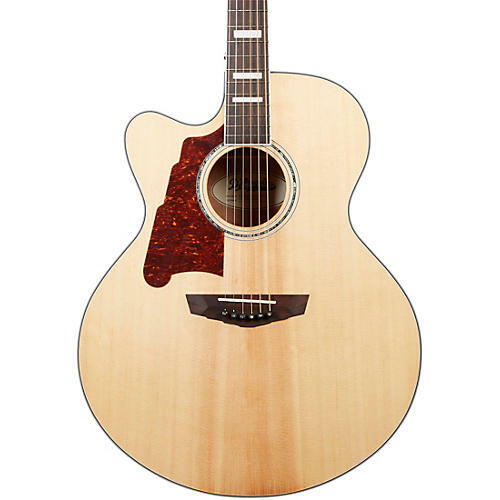 The Premier Madison left-handed acoustic-electric guitar's vivid sound is powered by a Sitka spruce top, laminated and mahogany neck complemented by a slim C-shape mahogany scarf neck. This Madison is strapped with the traditional D'Angelico aesthetic found in the Premier Series—a Skyscraper truss rod cover, stairstep tuning machines and a 3-ring abalone rosette.